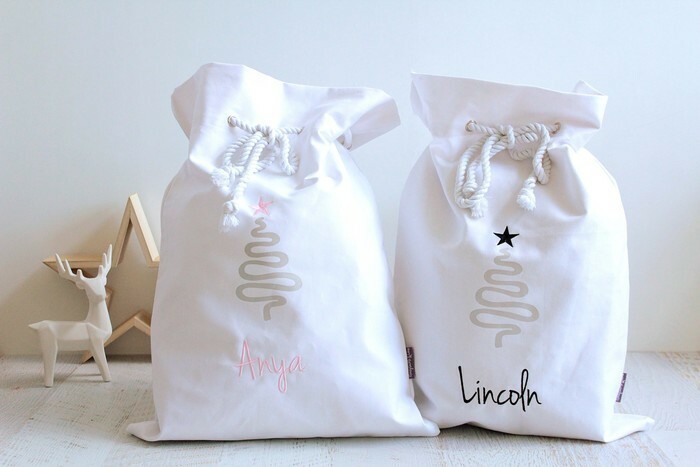 Santa Sacks are a fun and stylish way for kids to find their presents on Christmas morning. 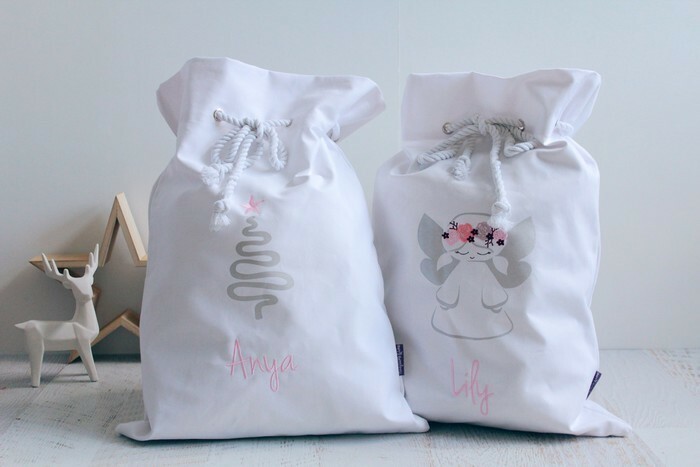 These ones are super special because they are personalised. 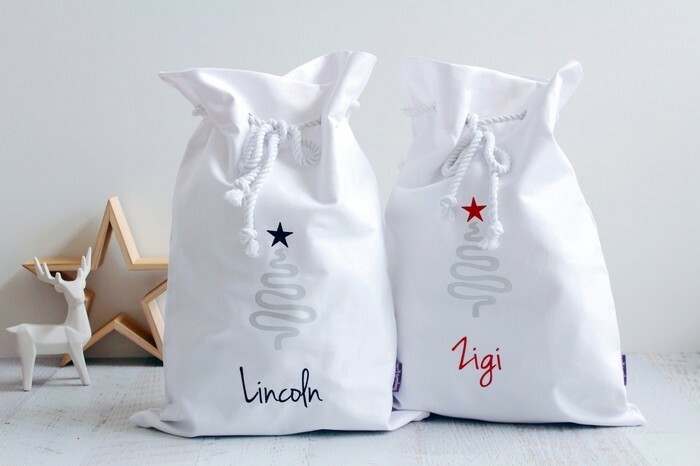 You just need to add your names to the notes section on check out and personalisation is free! 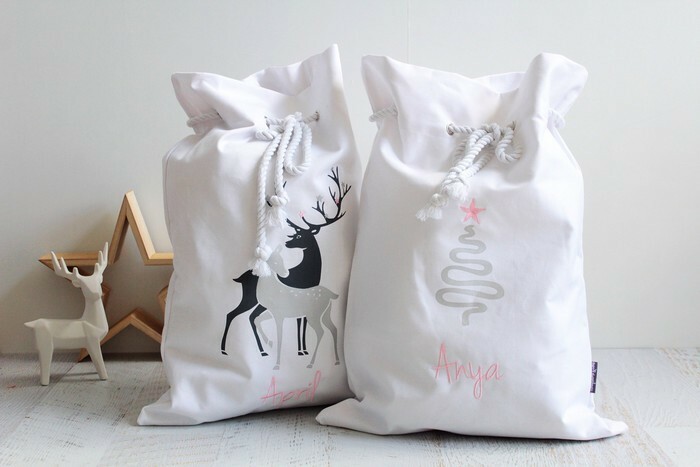 Christmas is my favourite time of year and I hope our Santa Sacks will form a part of your Christmas tradition (as they do ours) for this and many years to come, so with this in mind quality is our number one priority. 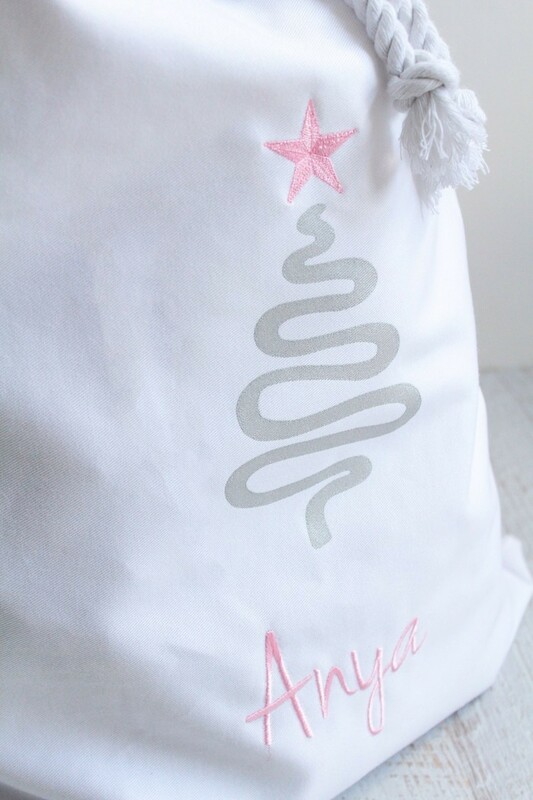 Made using a heavy weight cotton with a twisted cotton rope cord, we have included French seams to give extra strength (to hold all those really heavy pressies). We use genuine stainless steel eyelets so that they will not rust. The screen printing is done using non toxic water based inks and the personalised details are embroidered. 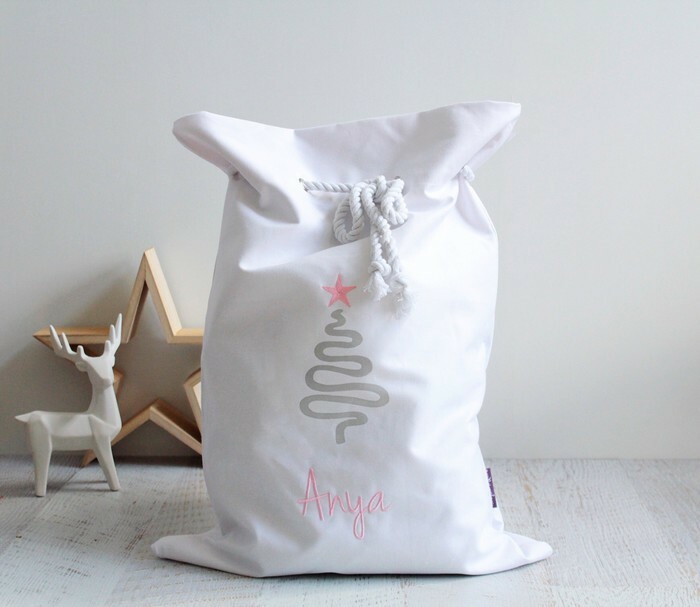 This Santa Sack is a generous 70cm x 50cm. Please note that all Australian and International orders are sent via Australia Post using a trackable service.